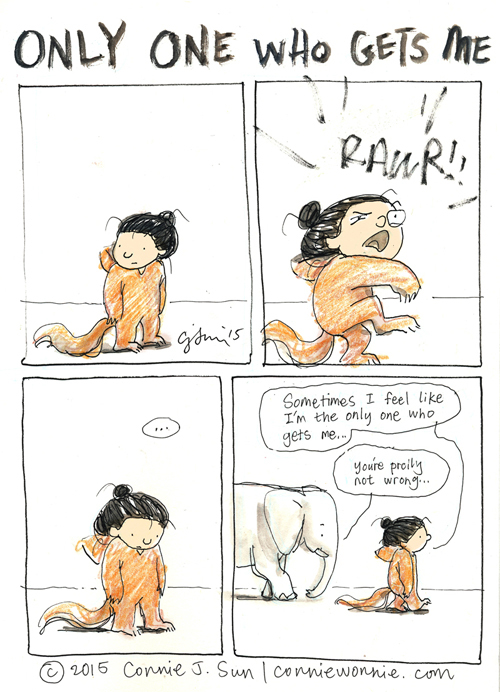 Sometimes you just have to rawr. I get you. And if we met I know you'd get me. What a comforting thought. I'm not alone. Ditto to Anna in Spain, your comics continuously say and show exactly what i'm feeling! Thanks for letting me know i'm not alone! Rawr!